This three-axle trailer is an Anhänger für Fla-Rakete Wasserfall (Sd. Ah. 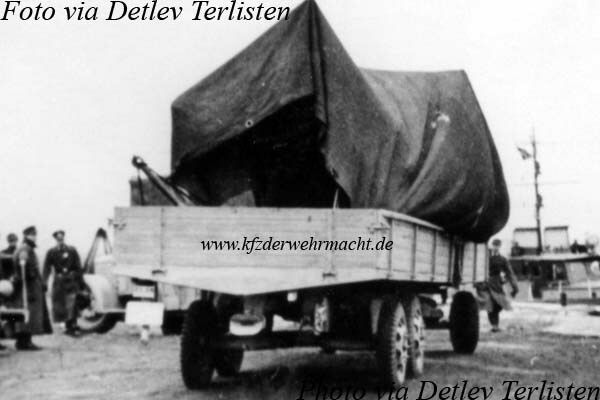 319) – a trailer for the anti-aircraft missile of the type Wasserfall. 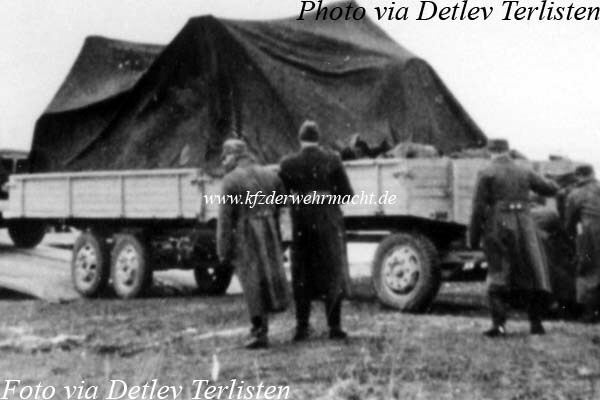 It seems that there was an anti-aircraft missile of the type Rheintochter hidden under the tarpaulin. This is the same trailer now seen from the rear. The Sd. Ah. 319 was based on the schwere An- hängerfahrgestell B 3 C which was a lengthened variant of the schwere Anhängerfahrgestell B 3 of the Luftwaffe.